Happy silver anniversary to the company behind your favorite USB! Global memory storage manufacturing company, Kingston turned 25 years old just last week. The company, long known for producing high quality storage media such as USB flash drives and SD memory cards, is currently the largest supplier of storage devices in the world. Its name has become ubiquitous with not only quality products, but quality customer service as well – rare thing in a time when manufacturers focus most of their energies on production rather than service. To celebrate its 25 years of existence, Kingston held a contest worldwide and produced some relevant digital content. Contestants from the U.S., Canada, Europe, the Middle East, and Africa all had the chance to participate in Kingston’s global contest, held in honor of its 25 years in the computer industry. The contest gave contestants the chance to win a grand prize of $2500 along with the chance to create a flash drive design. Some other prizes that were given away were Kingston SSDs, the company’s special 25th anniversary release flash drive, and a smaller cash prize of $250. The contest is a testament to Kingston’s longevity and success. The company has come a long way from its humble beginnings in the 1980s. Kingston was founded by John Tu and David Sun during the 1980s to overcome the lack of surface-mount memory chips available in the market. At that time, demand for memory chips had increased so much that there was a severe shortage of supply in the market. From then, Kingston has had nothing but success. In 2004, the company received its title as the largest supplier of memory modules in the world. And two years ago, it reported sales that reached the $6.5 billion mark. A significant part of this success is in the way Kingston operates. The company has long valued its interaction with its employees and customers. Loyalty, flexibility, and integrity were continually stressed, along with quality production. The result is evident: high quality memory storage products and commendable customer service. Kingston now employs over 4,000 people and has produced some 2,000 products in the span of its existence. 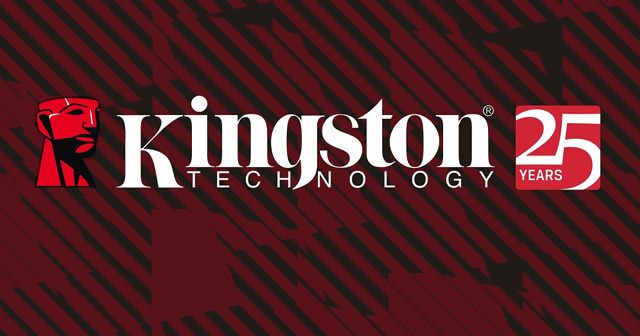 More of its history and development as a company can be viewed on YouTube, since Kingston released a series of videos, all commemorating its 25 years. This entry was posted in Kingston Technology and tagged flash memory manufacturer, Kingston Technology, Kingston USB. Bookmark the permalink.